Why would I need self storage in Rochester Hills, MI? There are a variety of reasons why you might need self-storage in Rochester Hills, MI. How much is a storage unit in Rochester Hills, MI? The cheapest storage unit in Rochester Hills, MI is $28.00 per month. What size storage units do you have available in Rochester Hills, MI? In Rochester Hills, MI we have sizes that range from 5'x5' to 12'x30' to suit your storage needs. How much is it for a 5'x5' storage unit in Rochester Hills, MI? The cheapest 5'x5' storage unit in Rochester Hills, MI is $28.00 per month. Rochester Hills is a fairly large city in Michigan's Oakland County, located on the northern edge of the greater Detroit metropolitan area. The city provides well-rounded amenities, ranging from parks and recreation to higher education and local culture. Rochester Hills is known for its Festival of the Hills, a summer event that features one of the largest fireworks shows in the state. Rochester Hills, which was once known as Avon Township, was the first settled area in Oakland County. A variety of settlers came from southern Canada, New England and New York in 1817. They followed Native American trails through the marshlands and forests until they eventually found the gently rolling land around Rochester Hills, realizing that it would make the perfect area for clearing and farming. The area owes its settlement to three water sources: Paint Creek, Stony Creek and Clinton River. Settlers built water-powered mills, which provided shelter, clothing and food by cutting lumber for homes, combing wool for clothing and grinding grain for flour. These three water sources helped fuel the growth and success of the community. In the first 30 years of the community's history, farmers privately owned nearly all the land. They were self-sufficient, producing most of their clothing and food. After 1900, however, farmers began decreasing their acreage and using public transportation to work in factories in the city. Between 1910 and 1920, the population grew by one-third as wealthy city workers moved to the area for lower taxes and larger houses. When 35 subdivisions were created between 1915 and 1930, the population almost doubled again. By 1950, the community that started out as farmland had grown into what is now considered a suburb of Detroit. In 1984, after many decades in existence, the community was finally incorporated as a city and renamed Rochester Hills. Today, Rochester Hills is home to many important institutions and services, including a public library, schools, museums and many dining and retail establishments. The city's parks offer a wide range of recreational activities, including jogging, tennis, golf, skiing, bicycling, boating and fishing, as well as several children's playgrounds. During the warmer months of spring and summer, you can enjoy Rochester Hills' extensive network of walking paths, which span the entire city. The Rochester Hills economy is healthy and diverse. Many industries, ranging from computer technology and electronic research to tool fabrication and plastic manufacturing, flourish in the city. A number of companies are headquartered in the city, providing many local jobs and supporting the city's economy. Rochester Community Schools manages the public schools of Rochester Hills, serving kindergarten through grade 12. The district has earned recognition for its high graduation rate, as well as for the very high percentage of students moving on to post-secondary education. Higher education is within easy reach in Rochester Hills, with two campuses located in the city. Both Rochester College and Oakland University offer undergraduate and graduate programs in a variety of disciplines. Utilities: The city's primary energy providers are Consumers Energy and DTE Energy, while its utilities department handles water and sewer services. Garbage and Recycling: RecycleBank facilitates recycling collection services, and GFE Environmental is responsible for trash collection. Transportation: While Rochester Hills does not have a designated public transit network, there are a few options available. Oakland University offers a shuttle system for students, and is also the site of the nearest SMART bus station. The median home price in Rochester Hills is relatively high by Michigan standards, a state that's typically known for its extremely affordable housing. By contrast, homes in Rochester Hills tend to be more expensive than the national average, rising steadily as demand has increased property values. If you're considering renting, you'll find plenty of options in the city. Our lowest priced units in Rochester Hills, MI average $28.00 per month. 46 people have reserved units in Rochester Hills, MI in the past 30 days. 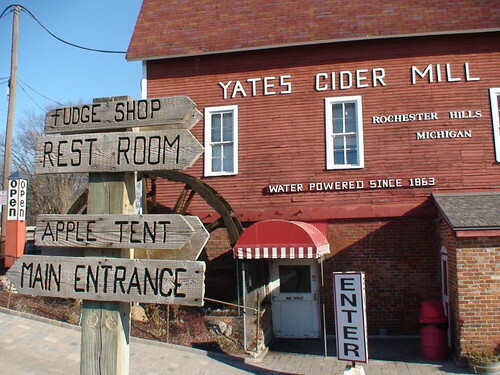 There is 1 location within Rochester Hills, MI's city limits. There is 1 location in Rochester Hills, MI that offers AC and Heating features.